Penguin offers Tire Warmer rentals for both Penguin Days and LRRS race weekends. These Generation III Woodcraft warmers feature a Hot/Warm switch, insulating side curtains and a quick disconnect cord that helps to prevent accidental damage. If you wish to purchase a new set of warmers directly from Woodcraft anytime in the 12 months after your rental, all rental fees from that time period are 100% credited towards your purchase. Renter must have both front and rear stands to utilize these warmers. Do I need warmers? 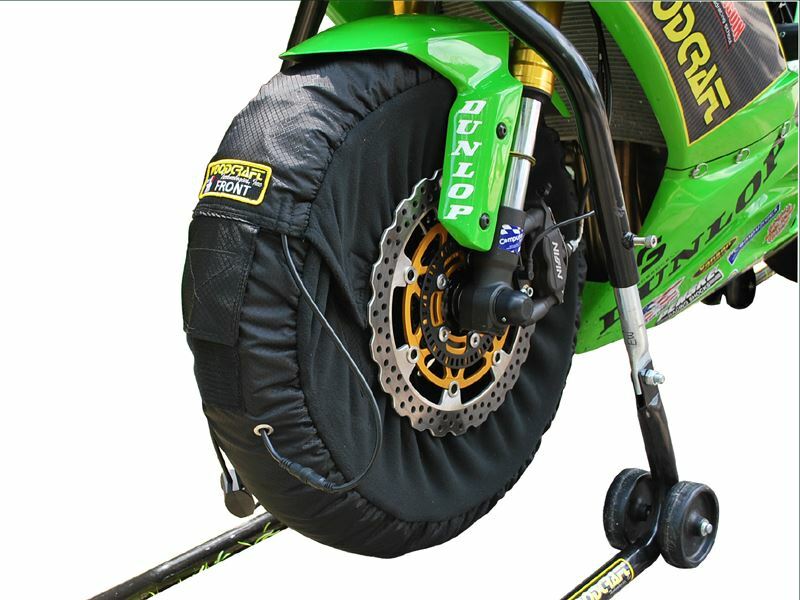 Warmers are highly recommended for riders using race compound tires, and not recommended for riders using street tires. *Renter agrees to cover the cost of any damage to the warmer outside of normal use (for example, starting the bike in gear with the rear warmer attached and ripping off the power cord).